Do you live the life you have imagined for your self? How do you feel waking up each morning? Excited and inspired or tired and feeling dead inside? What words come to mind if I asked you to describe your life to me? If you feel frustrated, hopeless or unstirred this article may help you to put AN END TO IT in two simple steps. 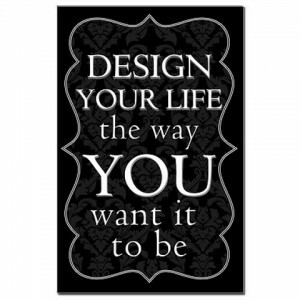 Rule #1: Start designing your life. Stop manifesting by default. Do you design your each day? What would you say? My experience is that most people just don’t. It’s easy to give into the old habits and do the same things you aways do, day after day. Next thing you know, years went by and you are stuck with the same unsatisfying job, relationship or lifestyle. It takes a while to become a pro at manifesting intentionally but you need to start somewhere, right? To become an intentional manifesting pro you will need to develop intentional manifesting habits. Our lives beccome what we repeatedly do. Have you noticed? So many women take the time to write down their goals and maybe even put together an inspirational vision board but than when it comes to living their every day, they do things that have nothing to do or are plain oposite of what their vision/dream is. The universe will not waste the time by giving you opportunities to fulfil you desires if you are NOT serious about your intentions. Period! Start one day at the time. Get behind the wheel and choose what your next destination is – mentally, emotionally, physically. How do you want to feel abou your day at the end of the day? Where do you want to INVEST your energy? What are the 3 most important things you need to do FOR YOU (and your dream)? No matter how little those things are – a phone call, making the time to make a health breakfast or taking 20 minutes to sit dow with a cup of coffee and re-assess your career plans. You need to support your intentions and the vision for your life with how you live your life every day. I know that they may seam like a huge job, but really it’s just about being clear about your core values and principles and being honest with your self when your values become “flexible” just so you don’t make someone angry or disappointed with you. Rule #2: You MUST make peace with disappointing people in your life. It’s simple: ” You just can’t please everybody” as they say, neither should you try. It’s enormous waste of your time and energy, and most importantly a distraction from what you need to do to manifest what you want. If you put someone else first even if it will put your own well being at stake, you basically will take on their energy (which sometimes maybe very toxic) and become apart of the force that is behind manifesting what THEY WANT. If it’s not aligned with you values and your desires, you have just given up your power and your energy becomes week and drained. That state does not have enough power to manifest what you want. You have just given away your precious energy to someone who was selfish enough to manage their own energy and make them selves a priority. To manifest anything you want you need your energy to be focused and consistant/steady to feed your creation all that it needs to come to reality. You can find the perfect partners in life (for all your goals) but you need to be able to attract them through keeping your energy strong and clean, in the right place. Do you give your power away by saying Yes wen you want to say NO? I could not have said it better. Thank you Cheryl! If you are wondering about the book that Cheryl Richardson talks about in the video, I could not recommend it enough. The Art of Extreme Self Care is a an amazing book if you want to learn how to create heathy boundaries, new empowering habits of Self Love and Appreciation, and more balanced, enjoyable life. It’s a self care bible in my opinion and a great, soothing read. 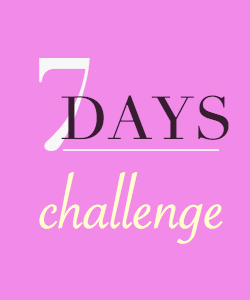 For the next 7 days I challenge you to get behind the wheel and plan your every day around your self, your priorities and goals. Pick one particular area of your life that you woud like to manifest a breakthrough in – whether it’s your health, career, relationship, finances….or any other part of your life that needs some attention and extra love. Very clearly define 3 steps you need to take to create the breakthrough you are looking for. Be very specific here and think bold, simple but impactful steps (that you can than brake into smaller steps to take each day). Plan your every day the night before. This can create miracles really if you will start practicing it. There is an art to it and a very specific way how you can execute this habit in the most effective way.Here is an article that I recently wrote on this manifesting tool that could really change your life. Who have I been afraid to disappoint in your life lately that you need to practice the let me disappoint you habit that you no longer can afford to put first? (instead of your own happiness and well being). Let me know how if feels to plan every little detail of your day around your own well being. Leave me a comment below and if you like share your best self care habits with me on this blog. I know other ladies reading this article will appreciate it. Hi, Erica! I’m enjoying your articles. As a fellow entrepreneur, I can relate to the time-crunch and the tendency to procrastinate (or even neglect) our own self-care. Your article is a terrific reminder that I need to be less anxious about disappointing others and more conscious of how/where I am investing my energy. Thank you for the inspiring words!